Long gone are the days where you only have all-purpose flour to use in your sweet treat recipes. This is especially great news for those who have certain intolerances or prefer not to consume certain things. 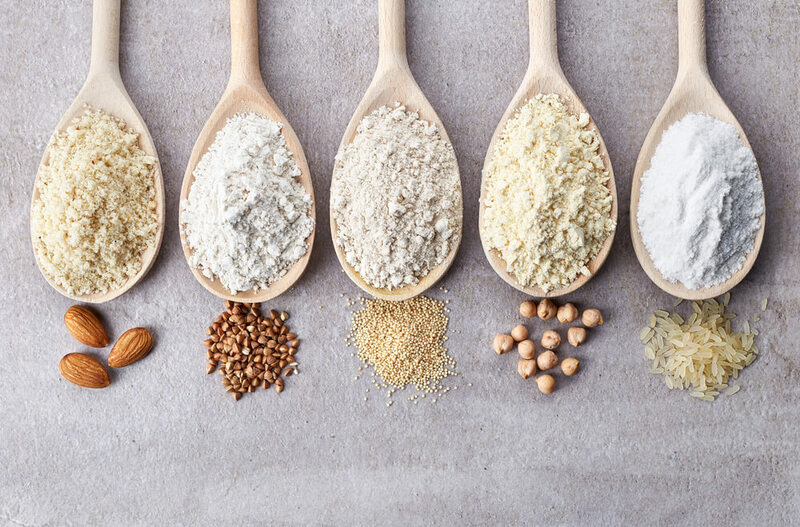 With the emerging fad of sharing everything you bake or eat on social media, finding great recipes has become even easier, especially recipes that use healthy flour substitutes. These “alternative” healthy flour substitute for baking can be almond, coconut, gluten free and quinoa flours that alternative bakers are using. The best part that it is easy to find healthy flour substitutes in supermarkets and using them is even better, especially for your health. Most of the alternative fours are gluten free, opening a whole new world to those who cannot eat gluten. Here we are going to discuss what to substitute all-purpose flour for as well as the best healthy flour substitute for baking. Brands such as Bob’s Red Mill have come up with their own creation that you can substitute all- purpose flour for. Made without wheat, dairy as well as being kosher, this great alternative to regular flour can be a delicious addition to your muffins, pancakes and cakes. Bob’s Red Mill makes their gluten free flour from potatoes, sorghum, tapioca, garbanzo and fava beans, making their flour a great course of dietary fiber and protein. Almond Flour is a very common healthy flour substitute made from ground, blanched almonds. This flour alternative packs in as many as 90 almonds per cup and has a nutty flavor making it a great substitute for flour when it comes to baking. An important point about baking with almond flour is that it is denser than regular all purpose or whole wheat flour. You should add an extra egg when using it for baking but can do almost a 1:1 ratio when using it to substitute all-purpose flour. Due to the large amount of almonds in each cup, this type of flour has a higher calorie count than normal flour, but it’s the good type of calories and fat. Coconut Flour is almost as common as almond flour when it comes to healthy flour substitutes. It is made from dried coconut meat and does have a hint of a flavor of coconut. Although, coconut flour absorbs a lot more water than almond flour and regular flour, it can create a nice fluffy texture when used for baking. This type of flour is packed with fiber and protein and is great for those with a family history of diabetes or those who have pre-diabetes. It is low on the glycemic index meaning you are less likely to have a blood sugar spike. Many restaurants are now adding buckwheat pancakes to their menu because of the popularity of the flour. Buckwheat is not a whet band also doesn’t contain gluten. It is part of a grain group that is similar to cereals and is high in B-vitamins as well as iron, magnesium and antioxidants. It can often be crumbly when used in baking and is great when mixed with other healthy flour substitutes. This one is made from just what you think it’s made from, brown rice. This type of flour is a whole- grain flour that is great to use to thicken sauces or to bread things with. It is high in protein and fiber and can help maintain low blood sugar levels. Make sure whatever flour alternative you choose matches your own personal health preferences by reading the label thoroughly. There are great recipes out there where you can make almost anything you like using a flour alternative, happy cooking!